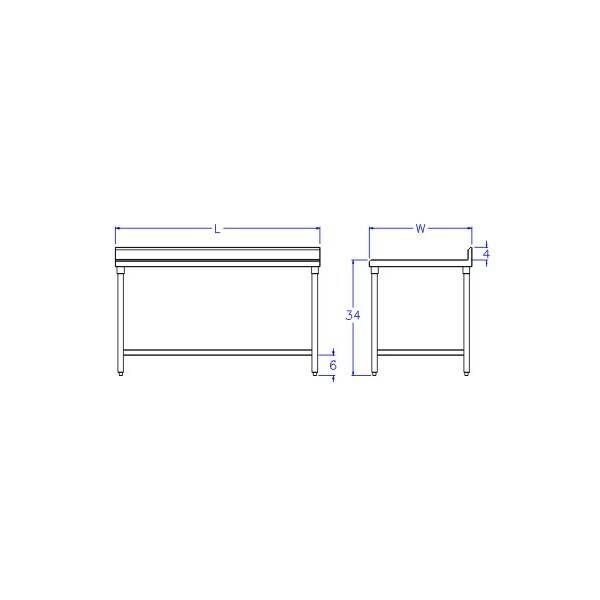 AllStrong Work Tables custom designed meet various customers' choices for multiple uses at restaurant, market and bakery, etc. The top is made of stainless steel with three sides flanged 2" down, one side formed backsplash 3" height with 1" bended back at 45o and 3/4" down. It is supported on stainless steel round tubing legs. 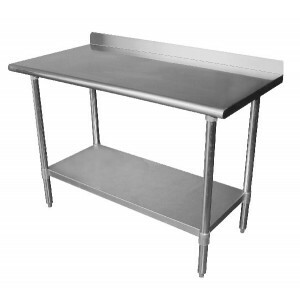 The undershelf is made of stainless steel or galvanized steel with edges flanges 1-1/2" down. 1.The top is constructed of stainless steel. 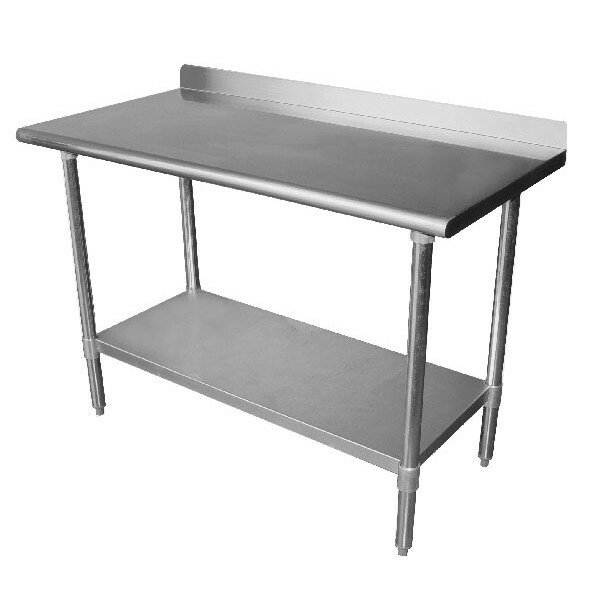 2.The undershelf is constructed of stainless steel. 3.Legs are diameter 1-5/8" stainless steel tubing. 4.Overall height is to 35".